Home News	Twenty-five years later: What have we learned? Fourteen beams erupted from the skyline of the city, each light symbolizing the 14 lives lost during a senseless rampage at École Polytechnique on Dec. 6, 1989. 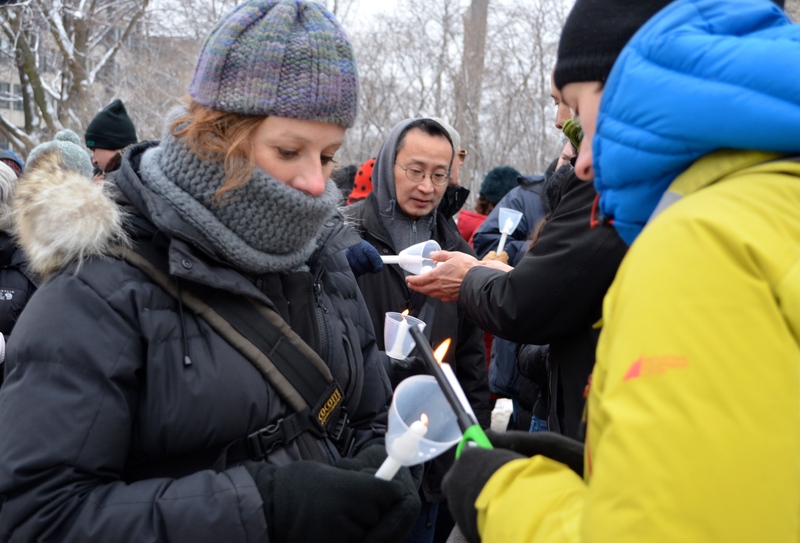 Mourners and those paying their respect came out to the numerous events held across Montreal to remember the quarter century since the massacre, where a gunman murdered 14 women and injured another 14 before taking his own life. Many private commemorations, as well as public ones in places like the Outremont Theatre and the Olympic stadium, were held today. But the highlight was held after the morning vigils and marches in the chalet atop Mount Royal. The commemoration, entitled “25 ans plus tard: Se souvenir pour elles”, hosted by la Fédération des femmes du Québec, started with speeches between 2 p.m. to 2:45 p.m. on the corner of Decelles Ave. and Queen-Mary Rd. A silent walk with candles then took place, passing through the Notre-Dame-des-Neiges Cemetery, and ended at the Mount-Royal Chalet. Attended by Mayor Denis Coderre, Premier Philippe Couillard, and former Prime Minister Kim Campbell, the room held dignitaries, survivors, and rememberers from all walks of life joined as they closed ranks law in a display of grief and introspection. Each spoke of their own recollections and on how far we’ve come as a society, how far we have yet to go, and of the importance of solidarity. The room, packed, could only hold so many. Outside, a live broadcast projected it to crowds and to homes. The pain and the occasional tears mirrored what went on inside. The ceremony paid homage to not only the women who died that night but the police officers and paramedics who were confronted with the collateral of misogynistic hate, and all those who were marked by one man’s actions. When asked whether the killer’s name should be remembered, she shook her head and said no. Let us hope that we will be ready, but that we will never be tested.